Cab Service in Ambala: Looking for an affordable and trustworthy cab service in Ambala, we are here to assist you. 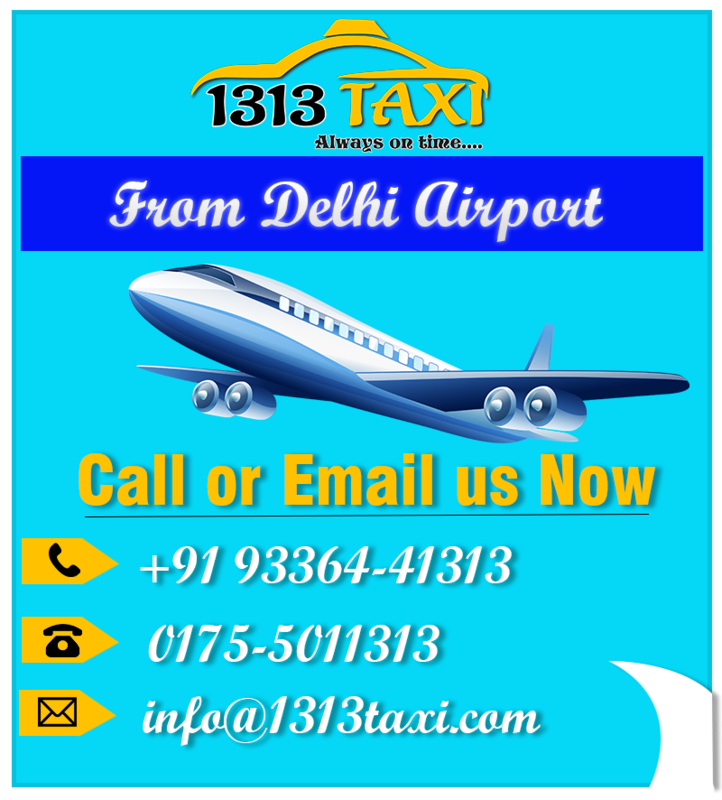 1313 taxi has become the most trust able brand in the tours and travels industry. We have occupied a huge market share in the recent past and have become the first and favorite choice of the visitors. 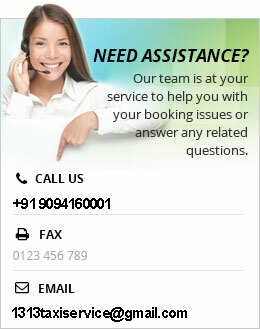 They believe us because we are enough competent to meet their traveling needs in a better way. Our furnished and decorated cab service in Ambala is getting popularity in the city. Call us at +919336441313 and feel an amazing experience with our reliable taxi service in Ambala. We assure you will have an unforgettable time with us. Ambala is among the most important and popular districts of the state of Haryana. We have a strong network covering all the locations within the city. Our drivers know all the shortcuts to reach you to your destination in time. We are committed to providing you the best and comfortable cab service in Ambala to make the best value to your hard earned money. Once you approach us, then it becomes our prime responsibility to make you happy and 100% satisfied with our excellent and hassle-free cab service in Ambala. Today in the digital world, we have nurtured ourselves with the digital services in order to ease the visitors. Now they can reach us in quick time. Suppose you suddenly need a taxi at your home and you have the limited time to reach a specific destination. Here we are the experts to help you in the critical situations like this. You don’t need to do anything except making a search for some common keywords like ‘cab service in Ambala’ on your smartphone. You will find us in the top position of the search results. Make a call and left your worries with us. 1313 taxi has special vehicle arrangements for all the occasions. Once you describe your need, we will assist you with the same. Because we have a large number of vehicles in our fleet. We are serving our visitors with taxis, cabs, minibusses, and tempo travelers etc. All of our vehicles are available anytime round the clock. These are neat and clean, attractive designs, colors, serviced at regular intervals etc. most importantly, all of our vehicles hold valid permits from the government thus no type of harassment is there to face on the way. Additionally, our vehicles have extra space for the luggage and other stuff. Thus your expensive stuff will be kept without any damage or loss. Starting with the taxi service in Patiala, we have made our reach to the countless destinations over the years. Today we have excellent and remarkable taxi service in Panipat, cab service in Amritsar, cab service in Ludhiana, taxi service in Chandigarh, tempo traveller service in Delhi, and tempo traveller service in Jalandhar, Sangrur, Bathinda, and many other cities.